SURVEILLEZ LES COTES COMME TURFY2010 !!@... CLIQUEZ ! BRAVO A NOS JOUEURS AYANT REUSSI UN EXCELLENT MOIS DE MARS 2017 ! ATTENDONS SAGEMENT CE 1ER GAIN CORRECT QUI NOUS METTRA A L'AISE/ABRI. BONS JEUX + GAINS EN CE MOIS D'AVRIL !! BRAVO AUX GAGNANTS, PUISQU'IL Y EN A TOUJOURS, TANT IL Y A DE COURSES/REUNIONS CHAQUE JOUR. NOTRE "LIVRE DES METHODES TURFY" NOUS AIDE A VISER, PUIS GAGNER LES BONNES. CE JOUR, EN PRONOS TURFY NOUS NE GAGNONS RIEN SUR CETTE COURSE QUINTE+. C'EST PERDU PAR ICI OU JE NE VOIS PAS L'OMBRE D'UN ZECOUILLON. BRAVO AUX GAGNANTS, QUI ONT SUIVI NOTRE "LIVRE DES METHODES TURFY" QUI NOUS PROPOSAIT DE MISER UN PEU +++ QU'EN PRONOS TURFY AFIN DE GAGNER CE JOLI GG/SIMPLE GAGNANT ET/OU PLACE A BELLE COTE. C'EST PERDU PAR ICI OU JE VISAIS ZECOUILLON. 11 GAGNANT=47.80 €/11 PLACE=12.70 € POUR 1 €. BRAVO A NOUS ET MERCI A MADEMOISELLE SANTIAGO QUI NOUS "OFFRE" CE PETIT ZECOUILLON DONT LA COTE A BIEN BAISSE DEPUIS LA VALIDATION DE MES JEUX EN CE DIMANCHE MATIN. 18 ZECOUILLON=7.40 € POUR 1 €. BRAVO AUX GAGNANTS, QUI ONT SUIVI NOTRE "LIVRE DES METHODES TURFY" QUI NOUS PROPOSAIT DE MISER UN PEU +++ QU'EN PRONOS TURFY AFIN DE GAGNER CE JOLI ZECOUILLON. BRAVO AUX GAGNANTS, QUI, COMME HIER, ONT SUIVI NOTRE "LIVRE DES METHODES TURFY" QUI NOUS PROPOSAIT DE MISER UN PEU +++ QU'EN PRONOS TURFY AFIN DE GAGNER CE ZECOUILLON. AVRIL DEBUTE (POUR MOI...) UN PEU COMME MARS...C'EST A DIRE "MOLLEMENT" ET JE PREFERE NE PAS ACCENTUER UN "DEFICIT", AFIN DE NE PAS AVOIR A "REBOUCHER" DES TROUS QUAND LES GAINS EVIDENTS REVIENDRONT. 9 ZECOUILLON=14.40 € POUR 1 €. 9 GAGNANT=34.60 €/9 PLACE=7.90 € POUR 1 €. 17 PLACE=7.10 € /17 ZESHOW=18.60 € POUR 1 €/2 SUR 4=31.80 € POUR 3 €. BRAVO AUX GAGNANTS SUR CETTE COURSE QUINTE+ NOCTURNE. C'EST PERDU PAR ICI VU...DOMMAGE EN PRONOS TURFY POUR NOTRE CHEVAL N° 10/ZECOUILLON QUI ARRIVE 7EME AU LIEU DE 4EME A BELLE COTE. JUMELE 15-14 PLACE=18.50 € POUR 1 €/2 SUR 4=7.50 € POUR 3 €. BRAVO AUX GAGNANTS SUR CETTE COURSE QUINTE+. JUMELE 6-8 PLACE=28.60 € POUR 1 €/2 SUR 4=25.20 € POUR 3 €. 15 PLACE=10.40 € /15 ZESHOW=26.00 € POUR 1 €. 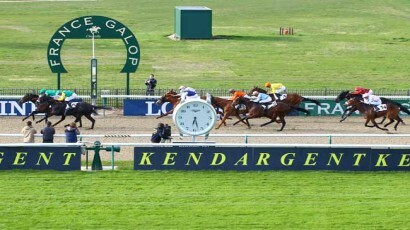 DOMMAGE EN PRONOS TURFY POUR NOTRE CHEVAL N° 17/ZECOUILLON QUI ARRIVE 5EME AU LIEU DE 4EME A BELLE COTE. BONUS 4/5=11.20 € POUR 2 €/JUMELE 14-2 PLACE=9.80 € POUR 1 €/2 SUR 4=14.70 € POUR 3 €. BON, IL N'EST PAS "ENORME", MAIS C'EST DEJA PAS MAL, ON PREND, HEIN !!@.. 10 GAGNANT=21.60 €/10 PLACE=9.80 €/3 PLACE=5.30 €/JUMELE 10-3 PLACE=51.30 €/9 ZECOUILLON=11.30 €/2 SUR 4=13.20 € POUR 1 €. YES !! 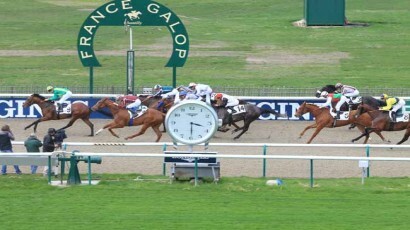 @...BRAVO AUX GAGNANTS, SUR CETTE COURSE QUINTE+ OU NOTRE CHEVAL N°3/ZECOUILLON ARRIVE PILE 4 EME ET NOUS FAIT DU BIEN. 3 ZECOUILLON=18.60 €/JUMELE 8-4 GAGNANT=16.80 €/JUMELE 8-4 PLACE=7.00 € POUR 1 €/2 SUR 4=16.80 € POUR 3 €. 2 GAGNANT=16.90 €/2 PLACE=4.10 € POUR 1 €. 4 GAGNANT=123.30 €/4 PLACE=23.00 € POUR 1 €. 15 GAGNANT=105.40 €/15 PLACE=20.10 €/9 ZECOUILLON=14.70 € POUR 1 €. IL PIMENTE UN PEU LES RAPPORTS DE CETTE COURSE QUINTE+ A FEU ROUGE QUI A BIEN ETE GAGNEE PAR UN FAVORI. 9 PLACE=11.60 € /9 ZESHOW=19.30 €/JUMELE 9-7 PLACE=54.20 € POUR 1 €/2 SUR 4=10.20 € POUR 3 €. TIERCE D=114.20 € /TRIO=367.35 € /BONUS 3 QUARTE=30.68 €/BONUS 3=6.60 €. C'EST PERDU PAR ICI...DOMMAGE EN PRONOS TURFY POUR NOTRE CHEVAL N° 9/ZECOUILLON QUI ARRIVE 7EME AU LIEU DE 4EME A BELLE COTE. CHEZ ZETURF VOUS AURIEZ EU 441.00 €...EN MISANT 15 € SUR LE N°11, VU QUE ZETURF NE PAIE PLUS LES ECURIES. 11 GAGNANT=29.40 €/11 PLACE=8.00 € POUR 1 €. PAR ICI, JE ME CONTENTERAIS DE CE ZECOUILLON, MEME S'IL EST "PETIT", HIIIIIIIIIIIIIIIII !!@.. 16 GAGNANT=29.20 €/16 PLACE=5.20 €/4 ZECOUILLON=12.70 € POUR 1 €/2 SUR 4=81.30 € POUR 3 €. 4 ZECOUILLON=12.70 € POUR 1 €. PUIS, A DEMAIN POUR D'AUTRES JEUX A CORDEMAIS OU NOUS JOUERONS "TURF PRUDENCE"...MEME SI DES SURPRISES PEUVENT AVOIR LIEU. C'EST PERDU PAR ICI, COMME JE VISAIS ZECOUILLON. JUMELE 17-7 GAGNANT=9.40 €/JUMELE 17-7 PLACE=4.10 € POUR 1 €/2 SUR 4=3.90 € POUR 3 €. TIERCE D=9.60 €/TRIO=24.75 €/QUARTE D=6.76 €/Z4=12.60 €/BONUS 4/5=3.40 €/MULTI 6=3.30 €. 2 PLACE=13.20 € /2 ZESHOW=25.10 € POUR 1 €. BRAVO A NOUS !! @...COMME JE VOUS DISAIS DANS LE MAIL DU JOUR, C'EST BEL ET BIEN SOUVENT ZECOUILLON QUI NOUS AIDE SUR CE TYPE DE COURSE A FEU ORANGE...MEME SI NOUS SOMMES HABITUES A DES COTES/RAPPORTS +++ GROS, NOUS NOUS EN CONTENTERONS, HEIN !! @...82.00 € POUR 10 € C'EST PAS MAL, MEME SI NOUS SOMMES CAPABLES DE TELLEMENT MIEUX. 14 ZECOUILLON=8.20 € POUR 1 €. C'EST PERDU PAR ICI...DOMMAGE EN PRONOS TURFY POUR NOTRE CHEVAL N°12/ZECOUILLON QUI ARRIVE 5EME AU LIEU DE 4EME A BELLE COTE. J'ESPERE QUE LA TOTALITE DE NOS JOUEURS A DESORMAIS COMPRIS COMMENT DETECTER/DENICHER FACILEMENT LES "GROS FAVORIS", HEIN !! @...EN SACHANT QU'IL Y A AU MOINS 4 COURSE PAR JOUR AVEC CES "FAVORIS CERTAINS" ET QU'IL EST IMPOSSIBLE DE "PERDRE" LES 4, VOILA UNE BELLE FACON DE GAGNER DES PEPETES DE FACON EVIDENTE...JE NE JOUE PAS CES FAVORIS CAR JE PREFERE "DRAGUER" LES ZECOUILLON (S...) A COTES "BANDANTES", C'EST AUSSI MA SPECIALITE ET SIMPLEMENT MON CHOIX. VOUS ETES QQUNS A AVOIR GAGNE LE QUINTE+ DESORDRE=31.60 € POUR 2 €, UNE "MISERE" DONT JE PARLAIS JUSTEMENT DANS MON MAIL AUX TURFISTES DE VENDREDI SOIR, SUITE A NOS GAINS ZECOUILLON. BRAVO TOUT DE MEME, MAIS...JE PREFERE VISER UN JOLI QUINTE+ AVEC DE JOLIS RAPPORTS. 4 ZECOUILLON=25.90 € POUR 1 €. JUMELE 15-11 GAGNANT=18.60 €/JUMELE 15-11 PLACE=7.60 € POUR 1 €/2 SUR 4=27.00 € POUR 3 €. 11 ZECOUILLON=14.40 € POUR 1 €. C'EST PERDU PAR ICI ...DOMMAGE EN PRONOS TURFY POUR NOTRE CHEVAL N° 16/ZECOUILLON QUI ARRIVE 6 EME AU LIEU DE 4EME A BELLE COTE. BRAVO A NOUS !! @...COMME JE VOUS DISAIS DANS LE MAIL/COMMENTAIRE D'HIER, C'EST BEL ET BIEN SOUVENT ZECOUILLON QUI NOUS AIDE SUR CE TYPE DE COURSE A FEU ROUGE...NOUS NOUS EN CONTENTERONS, HEIN !! @...166.00 € POUR 10 € C'EST BIEN, MEME SI NOUS SOMMES CAPABLES DE TELLEMENT MIEUX. 12 ZECOUILLON=16.60 € POUR 1 €/2 SUR 4=7.80 € POUR 3 €. 2 SUR 4=5.70 € POUR 3 €. C'EST PERDU PAR ICI. 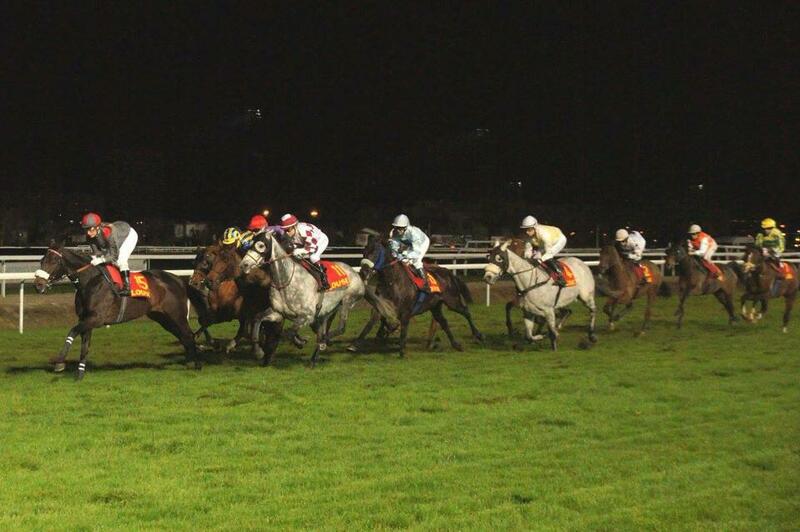 DOMMAGE EN PRONOS TURFY POUR NOTRE CHEVAL N° 17/ZECOUILLON QUI ARRIVE 6 EME AU LIEU DE 4EME A BELLE COTE. 2 SUR 4=15.30 € POUR 3 €. La Grande Course de Haies de Printemps (Groupe III), support du Quinté+ ce samedi 29 avril à Auteuil, a été neutralisée suite à la lourde chute d'Alejandro Ruiz-Gonzalez. Le jeune jockey s'est fait marcher dessus par son partenaire, Bonjour Bonsoir, qui l'a éjecté suite à un tassement dans le deuxième tournant. Placé dans une coque, l'apprenti au service d'Hector de Lageneste a été pris en charge par les services médicaux. Il est actuellement à l'infirmerie et sera éventuellement transporté à l'hôpital pour effectuer des examens complémentaires en cas de complications. Des nouvelles, heureusement, rassurantes. 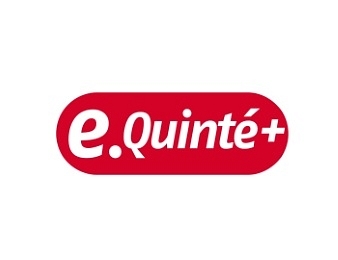 Le Quinté+ ne sera pas couru ce samedi, et les paris seront remboursés. 4 ZECOUILLON=21.50 € POUR 1 €/2 SUR 4=22.80 € POUR 3 €. 3 GAGNANT=12.40 €/3 PLACE=2.80 € POUR 1 €. 29/04/2017=COURSE ANNULEE SUITE A UNE SERIEUSE CHUTE..
AVIS: SUR CETTE PAGE NE SONT MIS QUE LES COPIES DE GAINS OBTENUS AVEC NOTRE COMPTE www.zeturf.fr OU www.pmu.fr SUR UNE COURSE/QUINTE PAR JOUR + PARFOIS UNE 2EME COURSE JOUEE (R?/C?... )...LES GAINS DONT IL N'Y A PAS DE COPIE + PHOTO, SONT DES GAINS QUE NOUS METTIONS/PROPOSIONS EN PRONOSTICS TURFY, OU QUE NOS METHODES TURFY DETECTAIENT... MAIS QUE NOUS N'AVONS PAS JOUE, ET DE CE FAIT, PAS GAGNE. AU DESSUS DE CHAQUE COPIE DE GAIN IL EST PRECISE SI CELUI CI PROVIENT EGALEMENT DE NOS PRONOS (PRONOS = UNIQUEMENT SUR COURSE QUINTE...), EN SACHANT QU'ILS PROVIENNENT TOUS DE NOS METHODES TURFY.